Discover out-of-the-way places like Horseback Riding Tours and The Old Farmhouse Laufas. There's lots more to do: pause for some serene contemplation at Akureyrarkirkja, look for gifts at Flora, Akureyri, examine the collection at The Aviation Museum, and get engrossed in the history at The Industry Museum. To see other places to visit, traveler tips, maps, and other tourist information, use the Akureyri visit planner. Singapore, Singapore to Akureyri is an approximately 29-hour flight. 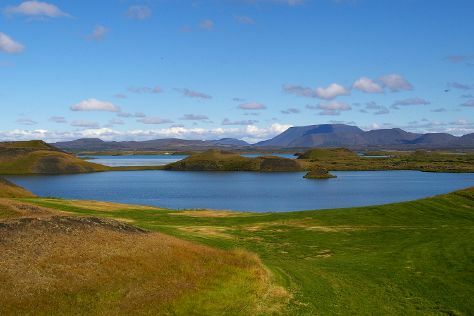 Traveling from Singapore to Akureyri, you'll gain 8 hours due to the time zone difference. Expect much colder temperatures when traveling from Singapore in August; daily highs in Akureyri reach 16°C and lows reach 8°C. Finish up your sightseeing early on the 10th (Fri) so you can go by car to Reykjahlid. Discover out-of-the-way places like Selfoss Waterfall and Dimmuborgir Lava Formations. Venture out of the city with trips to Husavik (Husavikurkirkja & Dolphin & Whale Watching). To find where to stay, ratings, reviews, and more tourist information, you can read our Reykjahlid travel planner . You can drive from Akureyri to Reykjahlid in 1.5 hours. Alternatively, you can take a bus. In August, plan for daily highs up to 16°C, and evening lows to 8°C. Cap off your sightseeing on the 15th (Wed) early enough to travel to Siglufjordur. Kick off your visit on the 16th (Thu): take an in-depth tour of Folk Music Center and then examine the collection at Herring Era Museum. For photos, other places to visit, more things to do, and tourist information, read our Siglufjordur trip planning website . You can drive from Reykjahlid to Siglufjordur in 2.5 hours. In August in Siglufjordur, expect temperatures between 16°C during the day and 8°C at night. Wrap up your sightseeing on the 16th (Thu) to allow time to travel to Saudarkrokur. Kick off your visit on the 17th (Fri): take in the natural beauty of Grettislaug, then take in the exciting artwork at Puffin and Friends, then examine the collection at Glaumbaer Museum, and finally steep yourself in history at Víðimýrarkirkja. For other places to visit, photos, ratings, and other tourist information, refer to the Saudarkrokur trip itinerary planner . Traveling by car from Siglufjordur to Saudarkrokur takes 1.5 hours. 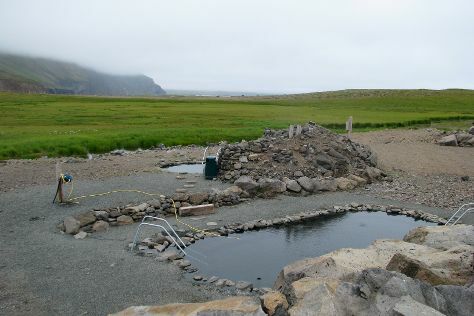 In August, daily temperatures in Saudarkrokur can reach 16°C, while at night they dip to 8°C. Finish your sightseeing early on the 17th (Fri) so you can travel back home.